JCCP invites submissions of original, previously unpublished articles in English, Chinese or both languages. Please read our guidelines, which you will find under the following headings. Important: Please check requirements as set out in the sections listed before submission. Articles that do not meet our requirements will be returned without consideration. 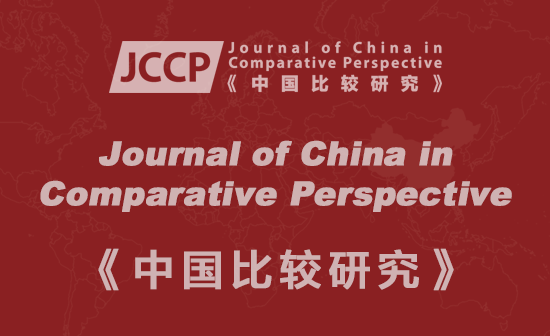 We strongly encourage our contributors to submit articles in both English and Chinese versions because we produce spearate English and Chinese editions of JCCP. If this is impossible, articles can be submitted in either English or Chinese without translation. In such cases, we ask authors to provide a one-page Summary of approximately 500 characters in Chinese for articles written in English or of 500 words in English for articles written in Chinese. It is the contributors’ responsibility to ensure the quality of the translated version meets our standards. If we find it to be 60 per cent unsatisfactory we will be unable to send it to our reviewers straight away and will require an improved translation to be provided. JCCP offers a translation service at lower than market rates. Articles submitted should be consistent with the aims of the Journal. Please read our statement of aims carefully before submitting. We also welcome proposals for whole issues of JCCP focused on a common theme. If accepted, the proposers of successful subjects for theme-based issues are invited to act as Guest Editors of the Journal. Note that each contribution to a specially edited themed issue will have to pass through the normal reviewing process. We also welcome reviews of books and other related published materials not on this list and of interest to readers of JCCP. If you would like to write a book review or a review essay, please complete the book(s) request form www.journal.ccpn-global.org/bookreviews from the JCCP website. We can then arrange for the book(s) to be posted to you at the address you specify on the online form. The Guidance for Contributors presented in this document applies to both book reviews and review essays. The preferred maximum length for an article is 6-8,000 English words, or 10-12,000 Chinese characters.. If your proposed article exceeds this limit, please correspond with editors via email journal@ccpn-global.org. Please submit your article as an attached file by email. Please save files in Microsoft Word, or as a text file. Manuscripts should be typed and double-spaced throughout. Refereeing is anonymous, so please exclude your name from the title. Authors’ names, titles and affiliations, with complete mailing addresses and telephone/fax numbers, should appear on a separate cover page. Please supply an Abstract of no more than 150 words. Please supply five Keywords for the final version of your article. This is important for searches. The editors will not consider manuscripts that are under consideration by other publishers. Once submitted to JCCP, it is assumed that articles will not be sent to other publishers until a decision has been made about inclusion. All articles submitted are blind-read by two editors, who decide whether they are in principle suitable for publication in the Journal. If yes, the manuscript is then sent to a member of the Editorial Board and at least two recommended assessors from the International Advisory Board for further review. The manuscript will then be returned to the contributor(s) with comments for revision and recommendations for final submission. The whole reviewing procedure should in normal circumstances take no longer than three months. We expect any required or recommended revisions to the submitted manuscript to be completed within four weeks. We reserve the right to decide whether the revisions have been sufficient to warrant publication. Article submissions should be consistent with the aims of JCCP. Please read our statement of aims carefully before submitting. We also welcome proposals for whole issues of JCCP organized around a common theme. If accepted, the proposers of theme-based issues are invited to act as Guest Editors of the Journal. Note that each contribution to a specially edited themed issue will have to pass the normal reviewing process. Each submission should include an Abstract of maximum 150 words. Submissions in English need a Summary of 500 characters in Chinese after the Abstract. Submissions in Chinese need a Summary of 500 words in English after the Abstract. Each submission should present a list of five Keywords or key phrases after the Abstract and Summary. Letters and news: up to 500 English words; 800 Chinese characters. Author-Date style (also known as Harvard style). Most social scientists are used to Author-Date, so please go ahead and use it. Footnote style. If your article tends to the textual and incorporates sizeable quotes, the footnote format may be more suitable. The Journal prefers that authors give quotes in English translation in the main text; however, footnotes have the benefit of allowing the quote in the original language to be viewed at the same time. ‘One journal two styles’: Author-Date style + Footnote style. For English articles please visit www.journal.ccpn-global.org/English_guidelines for details. Tables and figures should be provided separately (e.g. 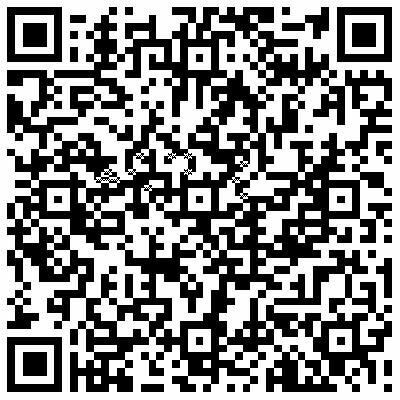 as email attachments) from the submission of the main text. Authors should indicate their preferred location for each Table or Figure with a note in the main text, e.g. Figure 1 around here. Line diagrams should be in a format suitable for immediate reproduction and without any need for redrawing. Illustrations should be high resolution. Photographs should be black and white and presented using a wide range of contrast. All tables, figures and illustrations should be accompanied by a brief caption or title. The text above and below, and preferably in, tables and figures should be in the same font as the main text, where possible, but smaller. Please check consistency of rendering of words and phrases between figures and tables and the main text, e.g. use the same spacing between numbers and units of measurement, spell words in the same way, use consistent capitalization. Authors are responsible for obtaining permissions from copyright holders for reproducing any illustrations, figures, tables or lengthy quotations from previously published works. Normally a Chinese surname (or family name) is composed of one single Chinese character (e.g. Zhao, Qian, Sun or Li), occasionally two Chinese characters (e.g. Ouyang). In common usage Chinese names are written surname (typically shorter) first, followed by first names (typically longer because they are composed of two Chinese characters, e.g. Wang Laowu, sometimes with ‘-’ in the middle). In practice, overseas Chinese always put their surnames last in accordance with English name order, e.g. Laowu Wang. Some Chinese first names are composed of a single character, e.g. Zhang San, or ZHANG San, in some cases. In this journal, if you see a surname in front of first names you can assume that person is mainland Chinese. All Chinese names are written in pinyin form, which is not italicized, as is the case for names of places, e.g. Beijing or Shanghai. There are exceptions, as individuals sometimes present their English names in their own way, which is acceptable.